Las Palmas de G.C. to La Palma is a domestic route in the Canary Islands and is operated by Naviera Armas and Trasmediterranea. Book a Las Palmas de G.C. to La Palma ferry today with AFerry. Just use the form above and choose the route that you want. If nothing appears automatically, start typing Las Palmas de G.C.. You can also type the country or even the name of the ferry company you are interested in. When you have the route that you want, choose single or return and all the other options you want. If there is more than one ferry company operating on the Las Palmas de G.C. La Palma route we will show you all the ferry companies, to make sure you get our best price. We'll also show you any routes similar to Las Palmas de G.C. to La Palma so you have the complete picture when making your booking. And of course you'll also see a range of times just in case it's a bit cheaper earlier or later than your preferred booking time. Once you've chosen your perfect sailing and have made your booking we'll email you your booking confirmation for your Las Palmas de G.C. to La Palma ferry. The majority of tickets have instant confirmation. Below you can see the ferry company or companies that sail on the Las Palmas de G.C. to La Palma route and the journey times. You might also see some recent prices our customers have found. The best way to find a cheap Las Palmas de G.C. to La Palma ferry though is to use the form above today to see all of our possible choices. 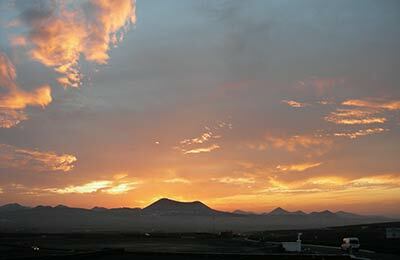 Las Palmas de Gran Canaria is a Spanish city, the capital city of Gran Canaria which is one of the Canary Islands. You can catch ferries to the other Canary Islands and mainland Spain: all of these ferries can be booked quickly, cheaply and easily online through AFerry. Las Palmas de Gran Canaria is a very cosmopolitan city. There are popular beaches nearby and a busy harbor. There is a city festival in June celebrating the foundation of Las Palmas de Gran Canaria. The Carnival of Las Palmas de Gran Canaria is one of the most typical and famous parties of the city. Santa Cruz de La Palma is the capital of the Canary Island of La Palma, and is home to around 18,000 inhabitants. The city was founded in 1493 and today is a busy and popular tourist destination. Santa Cruz de la Palma, with its characteristic steeply inclined valleys, has a lively ambience. Behind the city of Santa Cruz de la Palma, there is a mighty volcanic crater. Santa Cruz de La Palma is a lively city with a classic charm, and has many buildings of cultural and historical importance, such as the El Salvador church and the City Hall. The main city square, the Plaza de España, is home to many fine examples of Renaissance architecture and the stunning Iglesia del Salvador (church of the saviour). There is plenty to see and do in Santa Cruz de La Palma, from visiting the Naval Museum and the 17th century Santa Catalina fort, to walking around the Barranco de las Nieves ravine. If you visit in early August you may be lucky enough to catch the famous Fiesta de Nuestra Señora de las Nieves, the feast day of Our Lady of the Snows. La Palma benefits from a warm and sunny climate, and comprises beautiful beaches and stunning scenery, from mountainous terrain to fertile valleys. With AFerry we always give you our best prices for ferries from Las Palmas de G.C. to La Palma. No matter which page you book from we always include all our special offers. And there is no need to look for a discount code. If we have an offer available, your ferry price will include the reduction or offer. There's no need to look at other websites. If you're not sure if the Las Palmas de G.C. 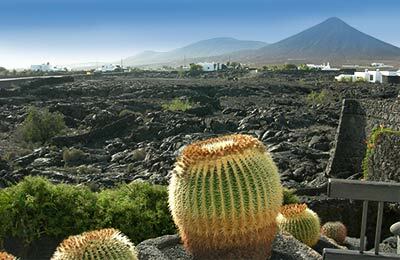 to La Palma route is right for you or you can't decide between ferry companies, if there is more than one, you might also find it useful to read any reviews we have available. We ask all our customers to send us reviews for Las Palmas de G.C. to La Palma ferries. Remember though, that the earlier you book, the cheaper prices normally are. So don't spend too long deciding! Las Palmas de G.C. to La Palma is a popular route, so we advise you to book as soon as possible.